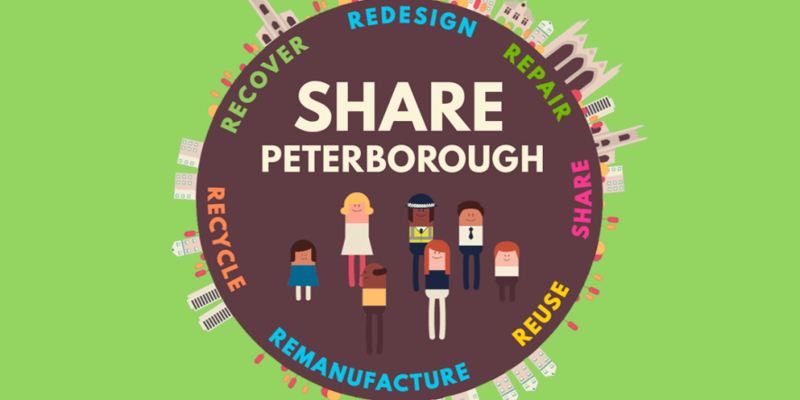 Share Peterborough recently joined us at Creative Networking to talk about their website and how it can help create a better Peterborough for everyone, and I have to say – it’s bloody brilliant! As a free tool for businesses of Peterborough to use this is definitely something to be embraced and used. It takes 1-2 minutes to upload your business details to the website, which is completely free of charge. You can then add a selection of Opportunities, Wanted, Sharing and Promotions to the website, along with any events you are running in or around Peterborough. By opportunities we are talking about things like job opportunities available in your business (this can even be network marketing) or even tender opportunities. For example, we need guest speakers for Creative Networking breakfast events in Peterborough so we have put this on the website as an opportunity. When it comes to wanted this could be anything, from a skill you need for your business such as a web designer or telesales person, to some office space for a training session or meeting – it really could be any resources you need for your business. I am the Chairperson of Parnwell Resident Association and we are looking for ways to create a community in the area, so I have put up a wanted post there for ‘Community Bonding Ideas’. Sharing could be anything in your office that you don’t need all the time, or a skill you are happy to share with others. For example, Opportunity Peterborough has a stack of iPad stands that they only use 3-4 times a year so they are happy to lend these to other businesses when they are not in use. In this area I wrote Hootsuite Training as this is a skill I am willing to share with other businesses for free. Then Promotions is pretty obvious, this is a promotion that your business can offer, but only to members, like an exclusive special offer or promotion. However, the organisation does ask that you use the whole site, and not just put promotions out to sell your business. There is also a place for latest news where you can share what you are up to and exciting business updates and news, and you can upload events on to the website too. The only downside at the moment is that enough businesses are not using it, so by uploading your business you will help the site grow and more and more businesses will use it. The other downside is, this is a Peterborough Only thing, so if you or your business isn’t based in Peterborough then you cannot use this site.